PORTLAND -- The Bonneville Power Administration announced plans Friday to build a new high-voltage power line between Washington and Oregon to move energy from east of the Cascade Range to Pacific Northwest population centers, marking another step in the agency's efforts to absorb the region's increasing renewable energy production. The line will run 28 miles from an existing substation near The Dalles to a new substation four miles northwest of Goldendale, Wash. The project will cost $185 million, to be financed in part from federal stimulus dollars, and will create up to 100 construction jobs, BPA announced in a statement Friday. The decision culminates a public process that began in June 2009. Bonneville markets power from 31 dams and a nuclear plant, operates three-quarters of high-voltage transmission lines in the Northwest and funds wildlife protection and restoration programs. However, transmission lines in the region have been increasingly taxed by new power produced from wind turbines and other renewable energy sources, and a recent study by the Northwest Power and Conservation Council found that Northwest wind power could more than double by 2025. The council is tasked by Congress with developing long-term power plans that balance the region's energy and environmental needs. The latest upgrade will strengthen the federal power marketing agency's ability to handle additional expansion of wind energy and other renewable energy projects in the region, U.S. Sen. Ron Wyden of Oregon said. "This project is a good example of how economic stimulus funding is being invested in real jobs, to build real infrastructure that supports real economic growth in the region," the Democrat said. BPA has proposed additional transmission lines in the region, though some have been met with criticism. In June, protesters picketed outside a BPA office in Vancouver, Wash., to protest plans for a high-voltage line through populated areas of Clark and Cowlitz counties. 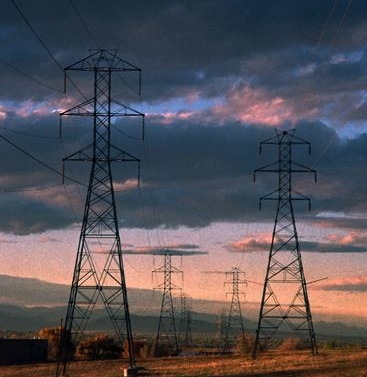 The latest decision was the product of an extensive public process that involved landowners, American Indian tribes and others, said Larry Bekkedahl, vice president of BPA Transmission Services Engineering and Technical Services. "The line's multiple benefits make it a good investment for BPA customers and the Northwest," he said. BPA said project construction would begin after contract terms are determined and final permits are granted. In other projects, a 75-mile transmission line between McNary and John Day dams is expected to be completed later this year. BPA plans to begin construction next spring on a line that will run 38 miles between southeast Washington's Garfield and Walla Walla counties.